You are invited to meet our Directors of Education, who will explain our vision, the curriculum and approaches to teaching and learning. You can attend our presentations individually or join a group presentation. After successful assessment, a place will be offered once the final documentation is completed and the registration fee (600€) paid. 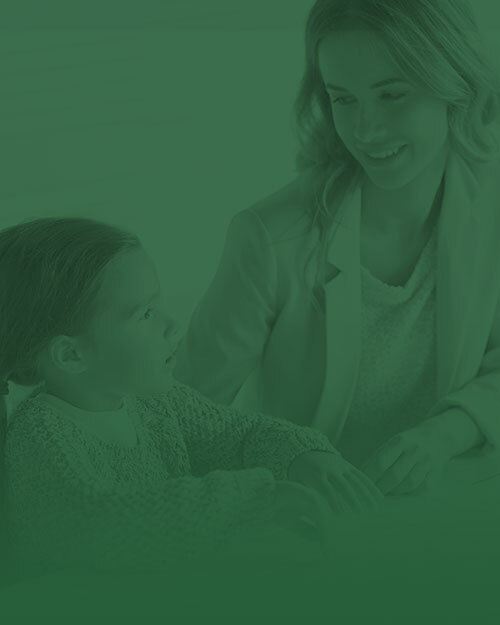 At RICHMOND PARK SCHOOL we work with a single quota system in order to facilitate, in all senses, the payment and collection procedures between the school and the parents. 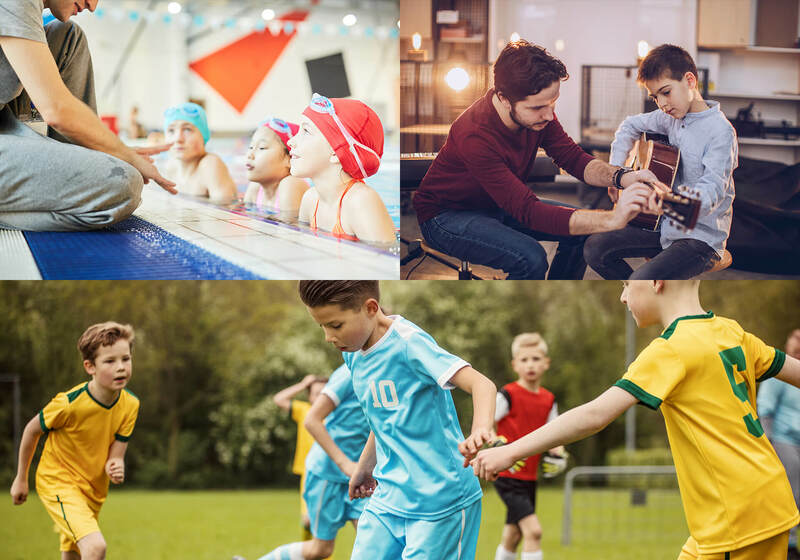 This fee includes academic fees, insurance, meals (except Breakfast Club), swimming lessons in the Curriculum, materials and books within the British curriculum (exceptionally, parents may be asked to purcharsa materials for a specific project). 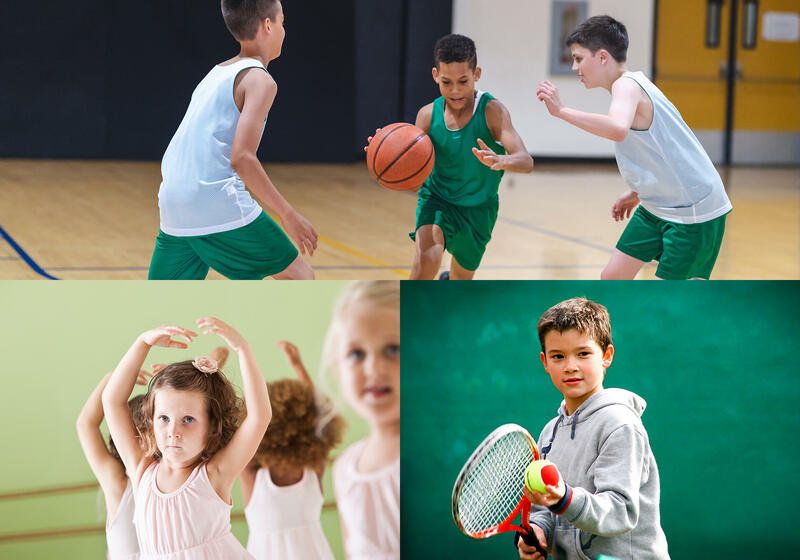 The fees do not include: school transport, uniforms, books and materials for the Spanish curriculum, clubs, extra-curricular activities and trips. In the case of not requiring any services included in the single quota, the full amount must still be paid. The school charges this single fee in 10 installments from September to June (inclusive) payable at the beginning of each month. The school will only accept payments by direct debit under SEPA regulations or bank transfer, always in accordance with current legislation. Parents must agree to accept the school's payment policy at the time of enrolment. 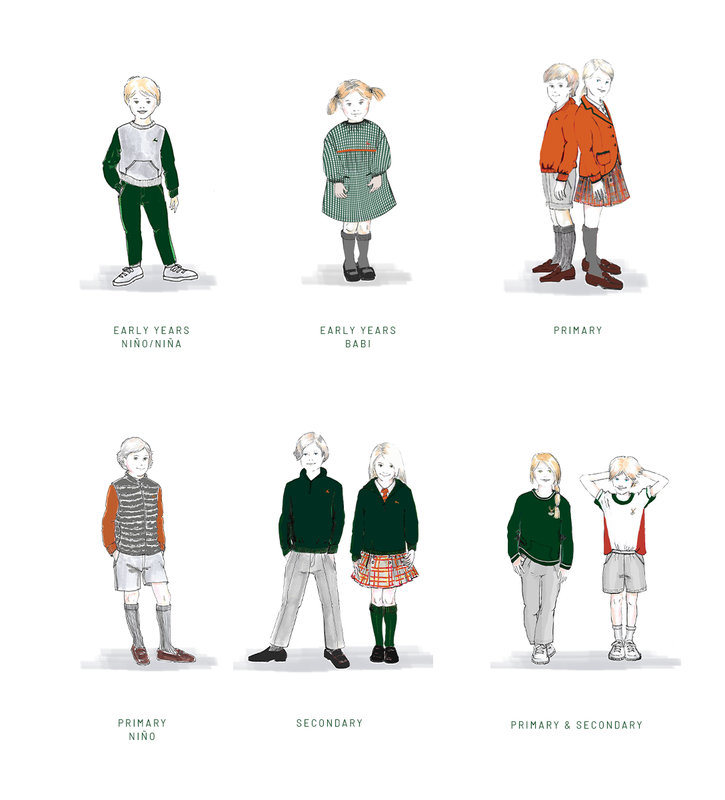 After several months of preparatory work, Richmond Park School has signed an agreement on the 6th February with NECK&NECK Schools’ Uniform Division (School by neck) to design and produce our school uniform for the next 5 years. 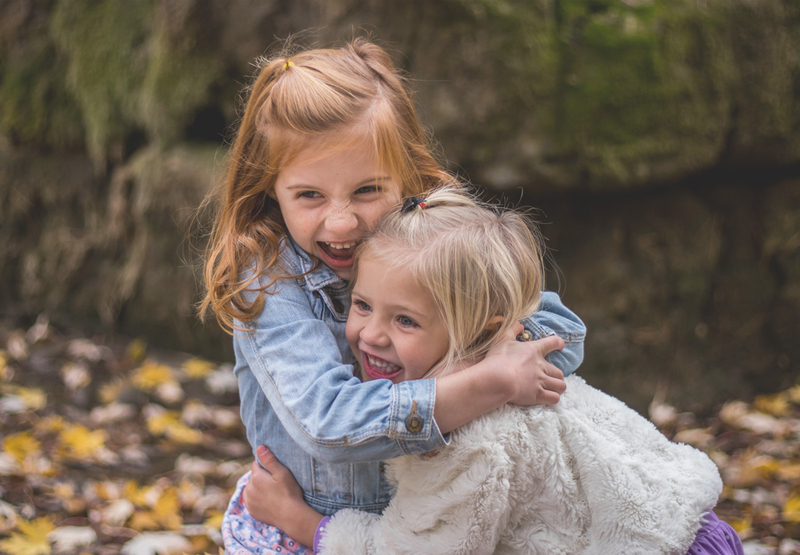 As you may already be aware, NECK&NECK is a family-run business which has been producing high quality children’s clothing for many years. The Senior Management Team has spent considerable time, not only determining an attractive design but also one which reflects the importance we assign to our uniform. One of our key beliefs is that our pupils will be learning for the future and learning from the past. Our uniform, too, has elements of both the traditional and the contemporary and will act as a constant symbol. The combination of colours is unusual, helping promote the specific identity of our school. We want pupils, parents and staff to have a deep sense of pride in belonging to Richmond Park School. Our uniform, worn correctly and elegantly, will help us considerably to achieve our aim. Finally, we have tried to make the purchase as straightforward as possible. You will be able to buy the items online via the Neck &Neck platform and either receive them at home or at the school. This section will be updated with any developments regarding the uniform. We inform you that these sketches may differ slightly in colour and design of the final uniforms. These are the bus routes offered by our bus company. The designated collection points are not yet final as during the admissions process parents are able to request personalised stops along the route. 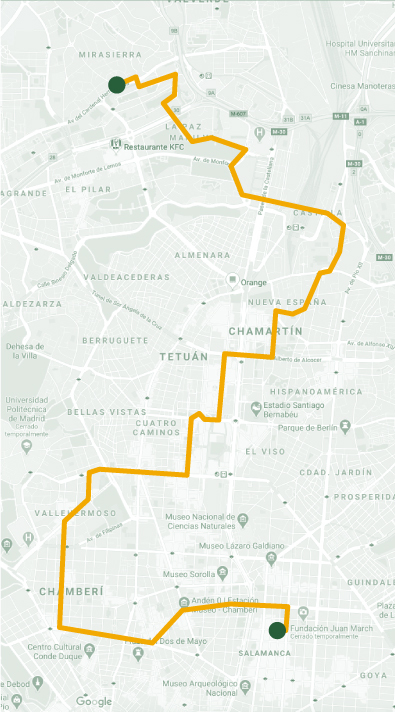 The final routes will be confirmed as soon as demand and laws regarding máximum route duration have been taken into account. For any questions or further information, contact us at info@richmondpark.school. 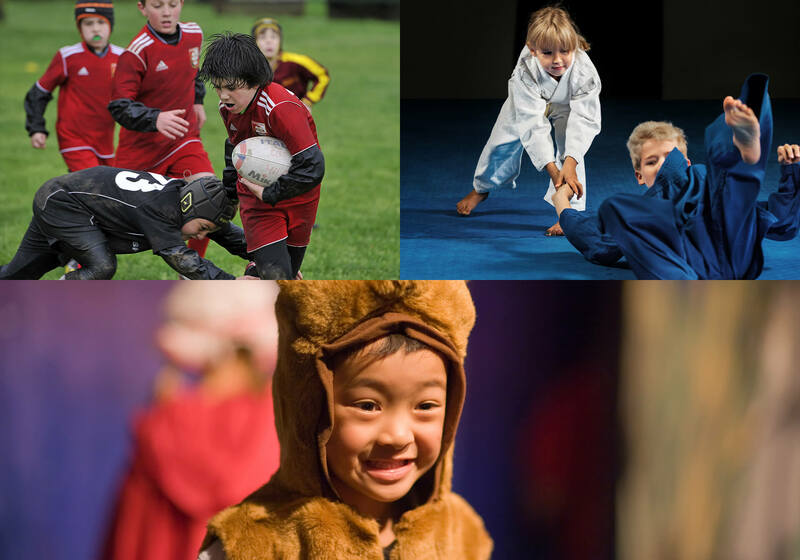 At Richmond Park School we believe the extra curricular activities is a great way to complement the academic programme. For this reason we are happy to present a wide range of activities of a maximum quality. 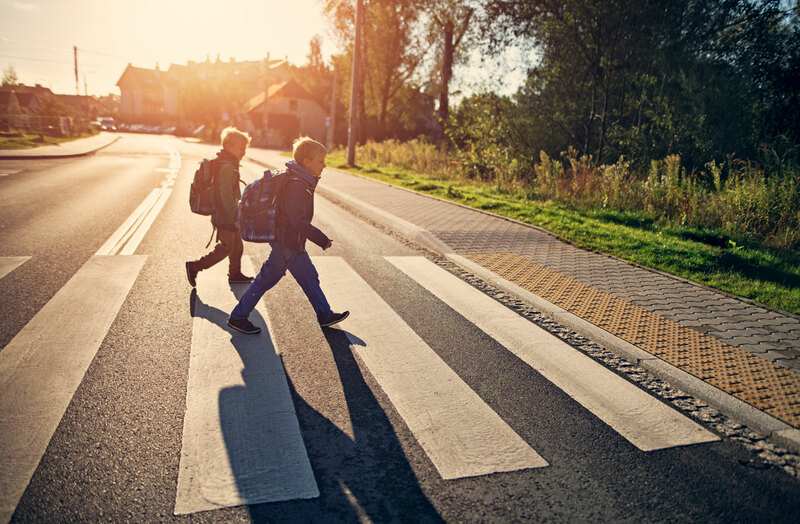 This section of our website will try to inform all those families who might be thinking about moving to the area close to Richmond Park School, about some of the relevant aspects once looking for a household. 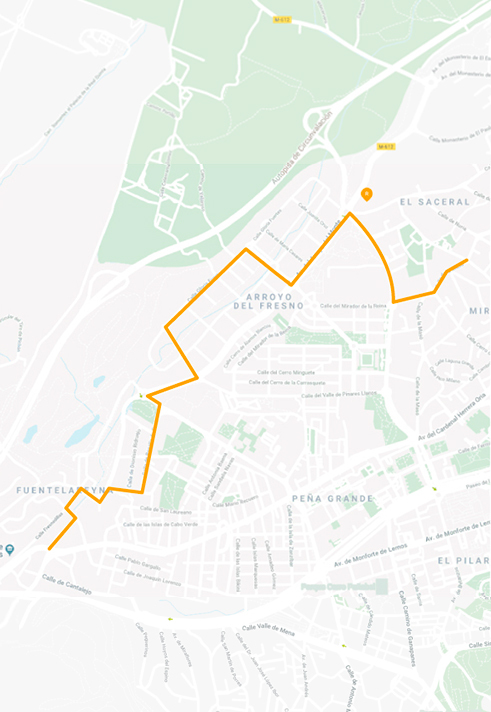 Even though we are only mentioning 5 areas, Richmond Park School is at a distance of 15 minutes from Plaza de Colón one day with normal traffic. Therefore, áreas like barrio de Salamanca, Chamberí, Chamartín or Arturo Soria, as well as outskirts such as La Moraleja, Alcobendas, San Sebastián de los Reyes, Puerta de Hierro, … are well situated to arrive to our school. Our bus routes will cover these areas, always following the demand of the families who demand daily transport. Created in 1950, its objective was to build a residential area that combined nature with the proximity of the city. Its name comes from the mountains that surrounds the landscape and can be enjoyed from the higher areas. Mirasierra presents many green spaces, an important number of establishments, sports facilities, hospitals as well as being surrounded by the cyclists “anillo verde”. In Arroyofresno - Estación de Pitis (C-3, C-7 y C-8). Buses Lines 134 and 178 join us to Plaza de Castilla. 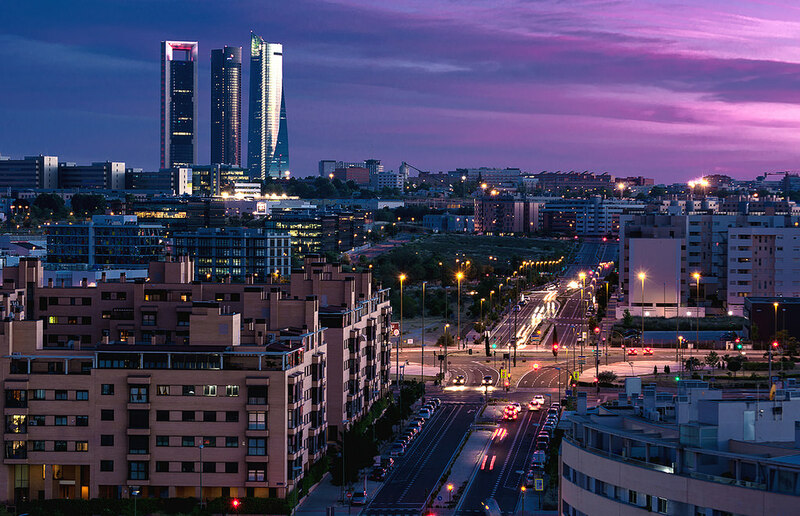 Montecarmelo is a new neighbourhood that has reached the objective of being one of the most desired areas to live in Madrid. Many factors make this corner as one of the favourites of the young population. It has Mirasierra on its southern part as well as Tres Olivos de Fuencarral, and Las Tablas on the East. It is a peaceful residential area with big avenues. Buses Lines 134 and 178 join it to Plaza de Castilla. Sports facilities Ciudad de la Raqueta, Holmes Place, anillo verde ciclista. An older area situated on the North-East of Madrid. Has a big health centre, municipal library as well as many shops including the first big mall in Madrid “La Vaguada”. It is very well communicated with the city centre. 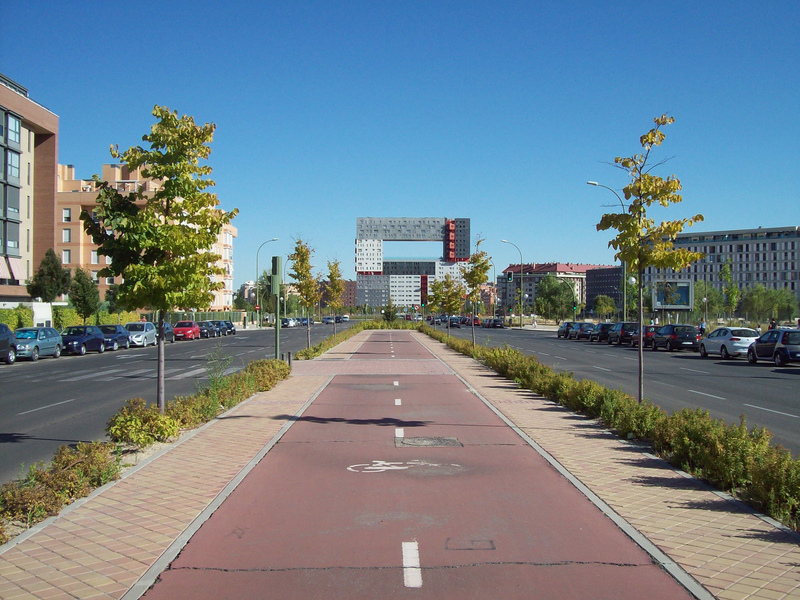 This is a residential area that belongs to Valverde, with numerous headquarters for big companies such as Telefónica, Dragados or Ciudad BBVA. It is formed by buildings of flats with common areas with swimming pools and gardens where lots of young families with children have decided to live. Sanchinarro is a residential area with wide avenues, very well communicated with the city centre. You will find a symbolic square building, Edificio Mirador, with 21 floors, though which the beautiful views of Sierra de Guadarrama can be seen. We are delighted to inform you that, as of today, we have more than 150 pupils enrolled. Demand is so high that we are already opening waiting lists for some classes. This is a thrilling start to our exciting educational project. So many parents already share our vision and interest will rapidly increase when everyone sees that vision made real. We wish to remind you that, as stated in January, all our `Founding Pupils’ and their families will receive a series of benefits and special recognition. The pupils will have their photographs permanently displayed in a symbolic place within Richmond Park School. They will receive a commemorative gift at our opening ceremony. The registration fee (€600) will be returned in full. For large families, there will be a 5% discount on all services and products not included in the one-time fee (e.g. uniforms, Spanish textbooks, excursions, extra-curricular activities, etc.). The only proviso is that at least three of the children must be enrolled at the same time. The discount is not applicable to any kind of external examination, testing or additional learning needs support.